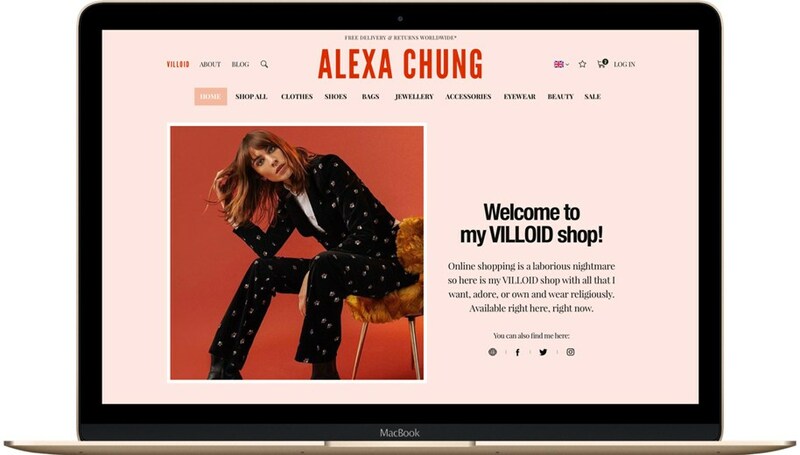 Alexa Chung is expanding her fashion app, Villoid, into a place for “hyper curated” shopping by enabling style influencers to sell directly to their fans through their own web stores. From December 1, a new shop owner is being announced everyday, starting with Chung herself. The initiative takes heed of the fact 92% of consumers reportedly trust an influencer over an advert, according to Forbes. Each individual style maven showcased will fill their digital rail with the products they love and wear from the 4,000 brands that Villoid stocks. “Looking for an Xmas party outfit? Head into Poppy Delevingne’s dress section. Lusting after that printed tee you saw Gia Coppola wear on Instagram? It’s there in her shop,” the write-up reads. “I’m so excited to be launching this next phase of VILLOID alongside some incredible women with enviable taste – some are friends, some I just stalk and others are people I’m sure you’ll come to know and love. I’m intrigued to see what they do with their shops and look forward to sharing this journey with you all,” Chung commented.